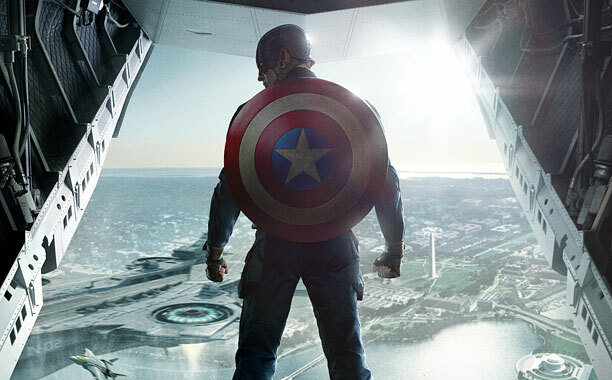 The first official trailer for Captain America: The Winter Soldier is live. And it’s amazing. The first Captain America movie wasn’t that great. It really only served as an origin story to integrate him into the Marvel Cinematic Universe. And despite the sheer starpower associated with his name, comic book fans everywhere were underwhelmed by the film. However, things are starting to look up. The trailer for Captain America: The Winter Soldier looks like it will be the rebirth of Cap on the silver screen. It’s loaded with superheroes and villains, and it appears to be strongly expanding the character roster. Along with Captain America and Black Widow, we get glimpses of Falcon (played by Anthony Mackie) and The Winter Solder himself. And from a quick trip to IMDB, we see that Arnim Zola, Batroc the Leaper, Crossbones, and Sharon Carter (Agent 13) will also be making appearances. But all of those characters weren’t the focus of the trailer. The trailer spends a hefty amount of time showing Captain America and Black Widow together. Is there romance on the horizon? I’m thinking that’s a fake out since Sharon Carter is showing up. More likely, she is just his partner in crime since he is now a S.H.I.E.L.D. employee. The other main focus of the trailer is on the mission of S.H.I.E.L.D. Captain America is clearly taking an ideological stand against the initiative to eliminate threats before they arise. Surrounding all of these question marks are shoot-outs and explosions galore, including the crashing of the S.H.I.E.L.D. helicarrier. So, it looks like everything you’d expect from a Marvel summer blockbuster, just arriving a bit early on April 4, 2014. Looks like a winner to me. Will you be watching? Check out the trailer below and tell us what you think! True Blood Announces Final Season … Praise Lilith!